t has been a scandalously long time since I posted, and it would take 6 months to write out what has happened in the last, well, six months, so I'm just going to start fresh with a book review and we'll just go on from there. In case you happened to know the rest of the story, Dad is doing fine and so is Mom, and yes, we got all the kittens and the mama cat spayed, and yes, there are new yarns up on the web site for Greenberry House, and there is a ton of new stuff up at Scraps of American History. Wow, that didn't take near as long as I thought it would! 2011, Bisel Books, Topeka, Kansas. 85 pages. Just when I decide to go on a lifestyle change journey with the SO because he's starting to have health issues due to our indulgent diet, this book arrives in the mail. Dixie Lee is a real Southern cook, and that means fatback, butter, white sugar and lots of lots of plain good eatin'. It may not all be on my diet for now, but I can recommend pretty much every recipe in this book; mainly because I've eaten most of them cooked up by family and neighbors right here in Meadows of Dan. Mild-mannered journalist and historian Deb Goodrich Bisel, like Clark Kent, has a superhero alter-ego in Dixie Lee Jackson. Deb was a Coalson, you know the family, from down in Ararat, Virginia, just a few miles if the crow flies down the mountain from Meadows of Dan. Deb was also in high school at the same time I attended. I'm just kidding about the mild-mannered part. I'm not real clear on how she left Ararat and wound up way off in Kansas as an expert on local history and a radio personality, but as folks say around here, "she done good." Dixie Lee, on the other hand, is a personality I know by reputation, but I've known gals like her all my life. I've even been one of them on occasion. 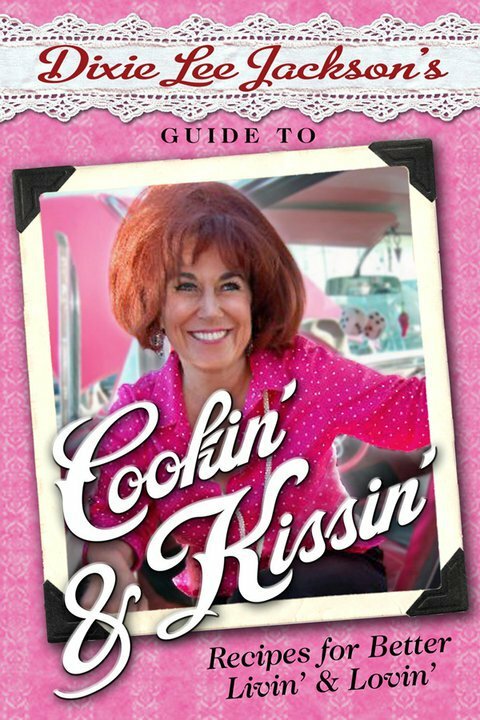 Maybe not so flamboyantly, but every true Southern woman knows the tips and tricks that Dixie Lee is offering to the rest of the world on a silver platter. A platter full of biscuits and gravy, mind. There are recipes here for chicken 'n dumplin's as well as for how to tell whether your man is worth the effort it takes to make him a banana sandwich. You can learn how to make company food and how to get over rejection by that man (15 minutes allowed "life is short, honey"). There are some sinfully delicious recipes and an explanation of just how sinful some shortcuts and behaviors (upside-down tomatoes?) should be considered. All in all this is an entertaining read with some valuable recipes that preserve the country cooking of the area where Deb and I grew up. A few of her recipes were new to me; it's amazing how different things can be passed within 15 miles of rough terrain that isolated people for a few generations. But some are the same, and reading this book will also make you realize that people from this area can be warm and witty and they'll straighten you out when necessary. And I'm not just sayin' this 'cause Deb mentioned me in her book, neither! How the diet is going: Bad weather knocking us out of exercise but we're still losing about 2 pounds a week.